Researchers examining the flow of electricity through semiconductors have uncovered another reason these materials seem to lose their ability to carry a charge as they become more densely “doped.” Their results, which may help engineers design faster semiconductors in the future, are published online in the journal ACS Nano. The atomic structure of a tiny semiconductor is X-rayed. The most common material for semiconductors is silicon, which is mined from the earth and then refined and purified. But pure silicon doesn’t conduct electricity, so the material is purposely and precisely adulterated by the addition of other substances known as dopants. Boron and phosphorus ions are common dopants added to silicon-based semiconductors that allow them to conduct electricity. But the amount of dopant added to a semiconductor matters – too little dopant and the semiconductor won’t be able to conduct electricity. Too much dopant and the semiconductor becomes more like a non-conductive insulator. “There’s a sweet spot when it comes to doping where the right amount allows for the efficient conduction of electricity, but after a certain point, adding more dopants slows down the flow,” says Preston Snee, associate professor of chemistry at the University of Illinois at Chicago and corresponding author on the paper. 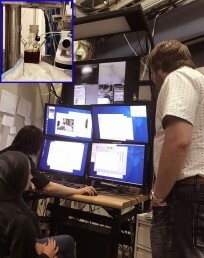 Snee, UIC chemistry student Asra Hassan, and their colleagues wanted to get a closer look at what happens when electricity flows through a semiconductor. 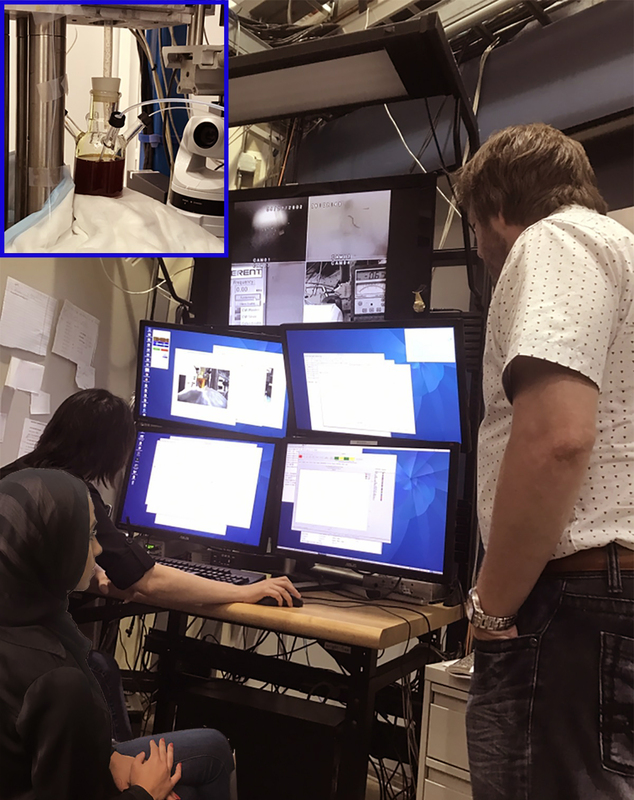 Xiaoyi Zhang of Argonne National Laboratory, UIC chemistry grad student Asra Hassan and Preston Snee, associate professor of chemistry at UIC at the Argonne Advanced Photon Source preparing to X-ray their semiconductor sample. 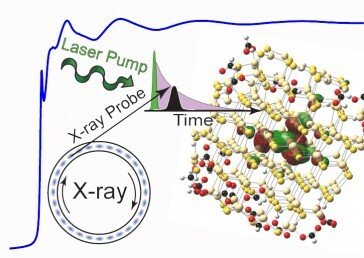 Using the Advanced Photon Source Argonne National Laboratory, they were able to capture X-ray images of what happens at the atomic level inside a semiconductor. They used tiny chips of cadmium sulfide for their semiconductor “base” and doped them with copper ions. Instead of wiring the tiny chips for electricity, they generated a flow of electrons through the semiconductors by shooting them with a powerful blue laser beam. At the same time, they took very high energy X-ray photos of the semiconductors at millionths of a microsecond apart – which showed what was happening at the atomic level in real time as electrons flowed through the doped semiconductors. 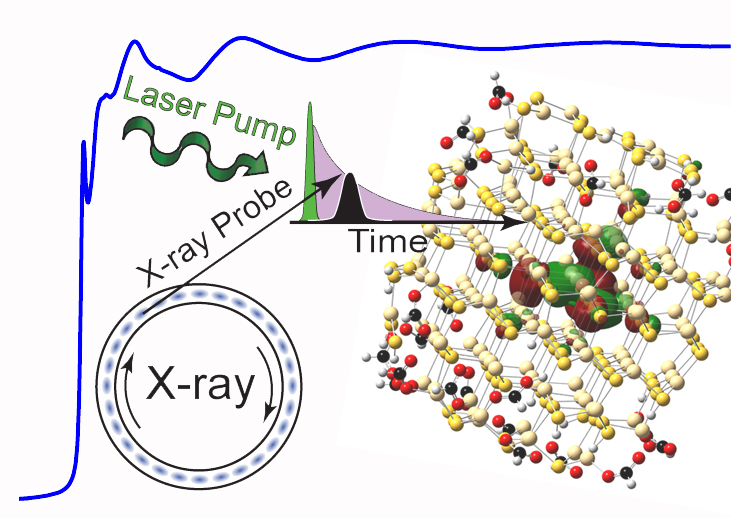 Xiaohan Liu, Ali Jawaid, Ahmet Gulec, Robert Klie and Armen Shamirian of UIC; Xiaoyi Zhang, Soma Chattopadhyay, Xiaobing Zuo of Argonne National Laboratory and Clare Rowland and Richard Schaller of Northwestern University are co-authors on the paper. Support for this research came from UIC. The Advanced Photon Source is supported by the U.S. Department of Energy and the MRCAT member institutions. The use of the Advanced Photon Source was supported by the U.S. Department of Energy Office of Basic Energy Sciences under contract DE-QC02-06CH11357.